Or not. The workforce will go to 1,200 and the workday to eighteen hours. Behind schedule because of their standoff with Los Angeles County, First Solar (NASDAQ: FSLR) is powering ahead to get phase one of its 230-megawatt Antelope Valley Solar Ranch One (AVSR1) on-line by the end of 2012. 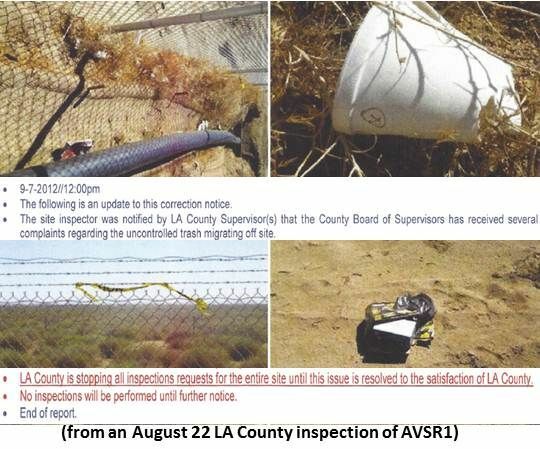 AVSR1 Community Liaison Adam Eventov just announced to the surrounding communities that the site’s 6:00 a.m. to 4:30 p.m., Monday through Saturday hours will be extended to 10 p.m. on weekdays and Saturdays; a Sunday 7:00 a.m. to 7:00 p.m shift will also be added. First Solar's relationship with local communities has been strained since First Solar bought the AVSR1 project from NextLight in the spring of 2011. 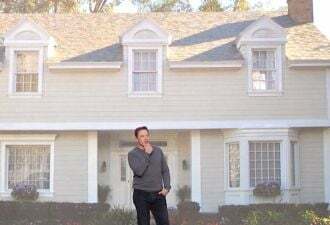 First Solar’s $140,000 peace offering, made in January, still has not been accepted. 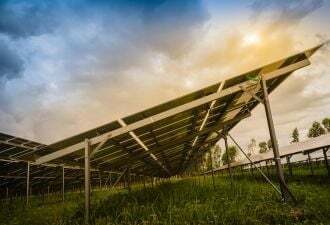 A report was filed with the Sheriff’s Department and First Solar offered a $25,000 reward for information leading to the vandal’s apprehension, but there was no response. 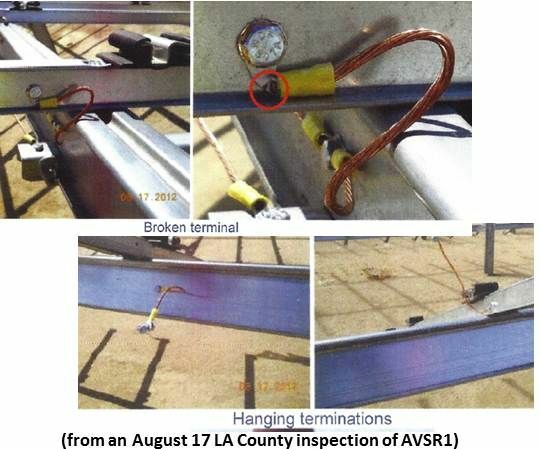 The vandalism disrupted a peace in Antelope Valley that followed the settlement of differences between First Solar and Los Angeles County that set the construction schedule back two months and caused hundreds of local residents to be furloughed. 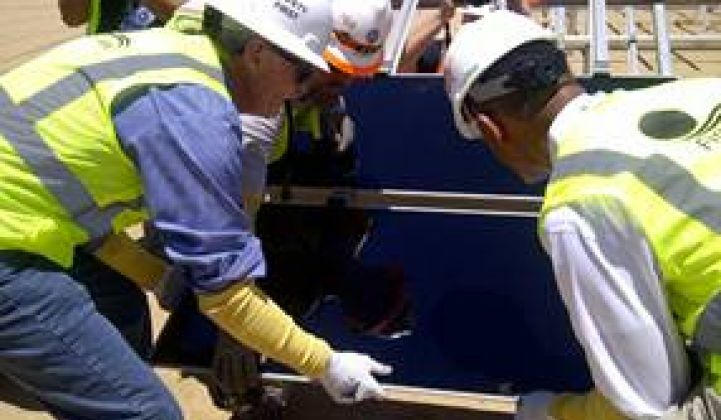 The stoppage began in early April after an LA County safety inspector disallowed the International Electrotechnical Commission (IEC) certification of First Solar’s cadmium telluride (CdTe) thin-film photovoltaic PV panels and demanded the County-required Underwriters Laboratory (UL) certification. 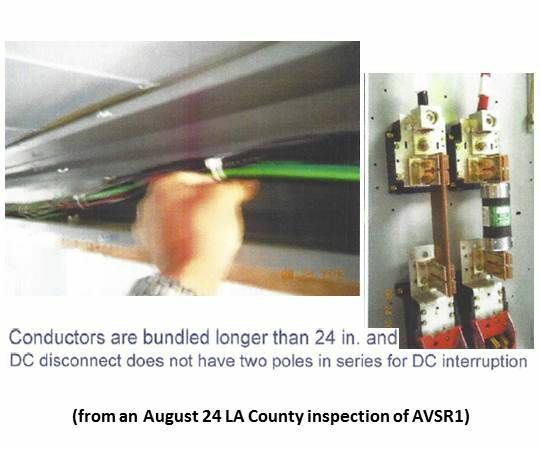 The impasse was resolved when County Supervisor Michael Antonovich, in response to community representatives’ call for him to get their residents back to work, reportedly pushed the County’s Building and Safety Department to accept First Solar’s certification. The vandalism was announced at a subsequent meeting between First Solar and local leaders. “When you have dissatisfied people in the community, this sort of thing happens,” an Oso Town Council officer observed. Hostility was expressed at the meeting on both the company and community side. Locals who described themselves as representatives of “disgruntled neighbors” complained again about the AVSR1 landscaping. 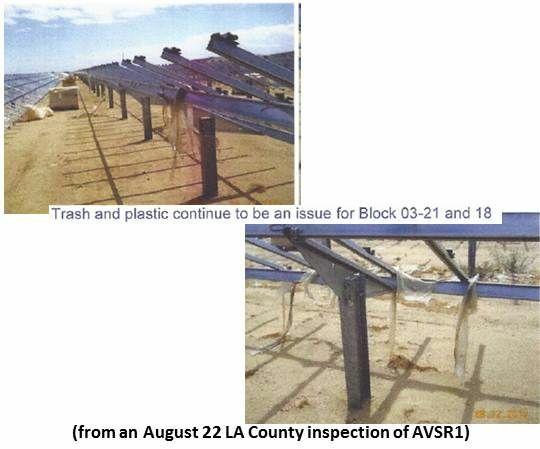 Acts of vandalism against unwanted renewable energy development is not unknown in Antelope Valley. Eight acts amounting to more than a half million dollars in damages were committed against wind projects there during the summer of 2011. 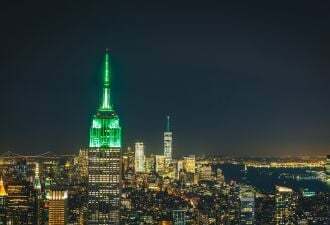 Shortly after, proposed NextEra Energy (NYSE: NEE) and Element Power wind projects were postponed. Tensions between LA County and First Solar also remain high. GTM has seen confidential County reports documenting issues with First Solar workmanship, as well as County inspector harassment. The reports are from both the AVSR1 site and from the nearby Alpine Solar site, at which First Solar is doing EPC for NRG Solar (NYSE: NRG). Another nuisance ahead for the still financially burdened First Solar is a class action lawsuit brought by former AVSR1 employees who allege (1) failure to pay minimum wage or overtime, (2) failure to provide accurate itemized wage statistics, (3) failure to maintain accurate payroll records, (4) failure to provide proper rest breaks, (5) failure to provide proper meal breaks, (6) failure to provide customary wages, and (7) failure to reimburse expenses. There are at least a dozen former workers involved and more are expected to join. GTM was unable to reach First Solar for comment.